4/10 Cup of Coffee: Jarren Duran (pictured, right) led a 19-hit attack for Salem, while Mike Shawaryn and Brayan Bello both had strong starts to pick up their first wins of the season. 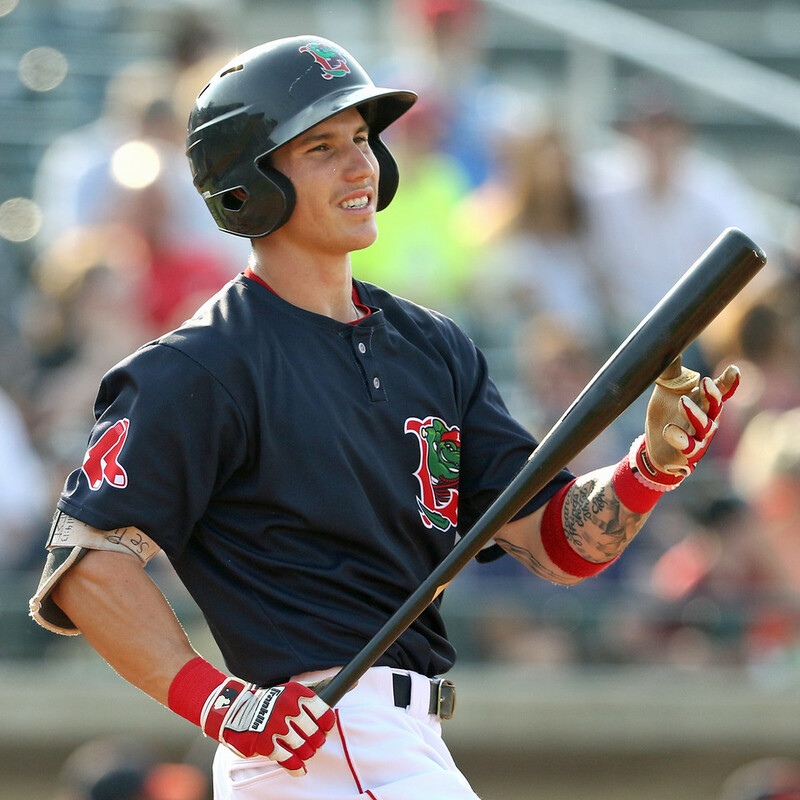 Joan Martinez was dominant in a long-relief role for Salem, and Rusney Castillo went deep to lead the PawSox offense. A three-run blast from Rusney Castillo, his first of the year, and six solid innings from Mike Shawaryn led the PawSox past the Bisons. It was the second straight outing where Shawaryn walked one and struck out seven, and he allowed only one run on six hits to lower his ERA to 3.18 to start the year. Bobby Poyner picked up the save after he struck out three in the ninth, but he also gave up a run on two hits. Nick Lovullo filled up the box score going 3 for 4 with an RBI, stolen base, and two runs scored. Josh Ockimey was also on base three times going 1 for 2 with a double, walk, and a hit by pitch. Sandy Leon went 0 for 4 with a strikeout but also threw out two of three would-be base stealers. The first game of this series will have to wait another day, as Tuesday's game was postponed after Monday's snowfall. The game will be made up as part of a doubleheader on April 10 at 5:00 PM. Six players had multiple hits and the pitching staff struck out 15 as Salem trounced the Hillcats. Jarren Duran once again led the way by going 4 for 5 with a double, walk, and three runs scored. He is now 10 for 20 to start the year. Ryan Fitzgerald set a career-high with five RBI as part of a 3-for-6 night with three doubles, Victor Acosta went 3 for 3 with two walks and three runs scored, and Isaias Lucena went 2 for 5 with two doubles, a walk, and three runs scored. It was a good yet slightly inefficient outing from Kutter Crawford as he allowed one run on two hits over four innings. He walked two and struck out five but also needed 81 pitches to get through it. He threw 79 pitches over four innings in his first outing, so he has yet to pick up a win despite pitching in two Salem victories. Joan Martinez followed him out of the bullpen and struck out seven over three shutout innings. Brayan Bello's full season debut could not have gone much better, as the 19-year-old picked up the win after firing five innings of one-run ball. He only gave up two hits and one walk while striking out three, and he induced nine groundouts. Yoan Aybar struck out one in a scoreless inning, and Alex Demchak earned his first professional save with a scoreless frame. After entering the game hitless in his first 13 at-bats, Cole Brannen went 2 for 3 for his first hits of the year. Alan Marrero had a double and a walk, though he was also picked off first base, and Kervin Suarez added an RBI single. The first game of the doubleheader was delayed by over three hours, and because of the late start the second game of the night was postponed. It will be made up at a later date when the two teams play in Augusta. Player of the Night: Ryan Fitzgerald and Victor Acosta had very strong cases, but Jarren Duran takes home the honors after reaching base five times in Salem's blowout win. Duran has been a machine since joining the system in June of 2018, hitting .366, and he has a hitting streak of 15 games dating back to last season. While he will not keep hitting .500 all season, he has shown an ability to make consistent contact, and his plus-plus speed will always put pressure on the defense.